During the early 1970s Ormond Haydon-Ballie, a young RAF Flight Lieutenant was seconded to the RCAF. Whilst in Canada amongst other aircraft he discovered several derelict ‘Bolingbrokes’ (Bristol Blenheims built under licence in Canada). In 1973 he purchased two complete airframes, 9896 and 10038 both built in Canada and having seen wartime service, he also gathered together as many engines and spare parts and had then shipped to the UK in 1974, and through a bit of wrangling got them stored at the old RAF station at Duxford in building number 66 which was immediately christened ‘Blenheim Palace’, which it is still known as today. As the maintenance of Haydon-Baillie’s flying aircraft took priority work on the Blenheims was very low key and was dealt a terrible blow in July 1977 when he was killed in a flying accident in Germany. In July 1978 Graham Warner was being shown around Duxford and amongst other items saw the Blenheims for the first time and after much thought and speaking to Haydon-Baillie’s team over a period of time decided to take the project on. The aircraft was painted in the ‘camouflage pattern A’ and the chosen markings of V6028 GB-D, of 105 Squadron, 2 Group, RAF Bomber Command, the aircraft in which Wing Commander Hughie Idwal Edwards won the Victoria Cross on 4th July 1941. On the 22nd May 1987, a Bristol Blenheim took to the skies for the first time in over forty years to become the sole airworthy example. This first flight followed a meticulous restoration which took twelve years, a small fortune, and some 40,000 voluntary man-hours to complete. Just four weeks later on 21st June 1987 the aircraft was destroyed in an accident at Denham, not due to any mechanical fault, and mercifully with no loss of life. To aid the raising of the necessary funds ‘The Blenheim Appeal Fund’ was launched with donations going towards the rebuild. 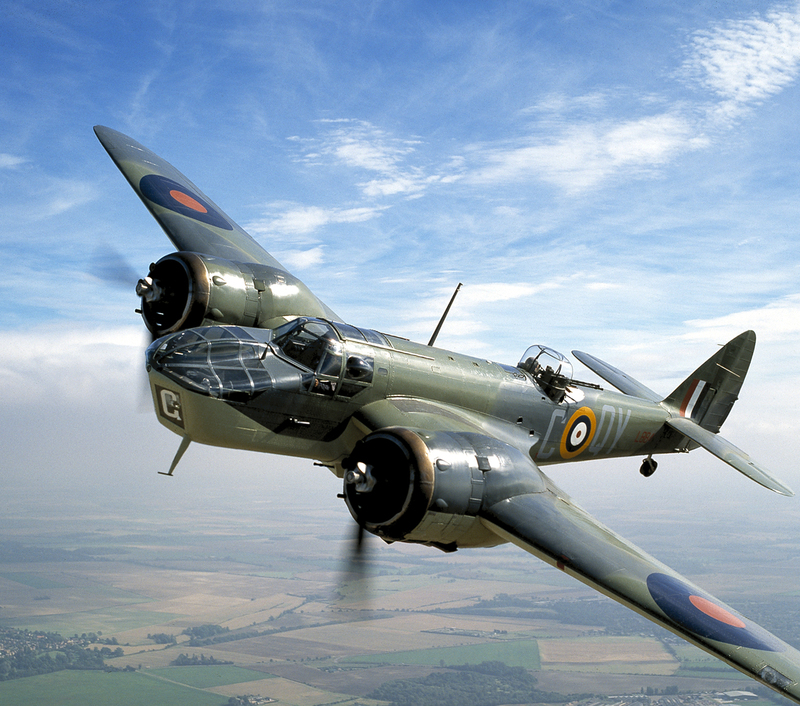 It was also decided to restore the proper historic importance of the Blenheim. The components for the second restoration arrived at Duxford in February 1988 from Strathallan. At a press conference on 29th June 1988 it was announced that a ‘Blenheim Society’ was to be formed, with a newsletter to keep supporters informed of the progress on the restoration. From lessons learned on the first project a different system was used on this project, each major component was assembled and systems installed whilst in the workshop. The project was completed in 1993, and the aircraft first flew in May of that year. From the beginning it was decided the aircraft should be repainted over a period of time in various schemes to represent the different commands and squadrons in which the Blenheim served. 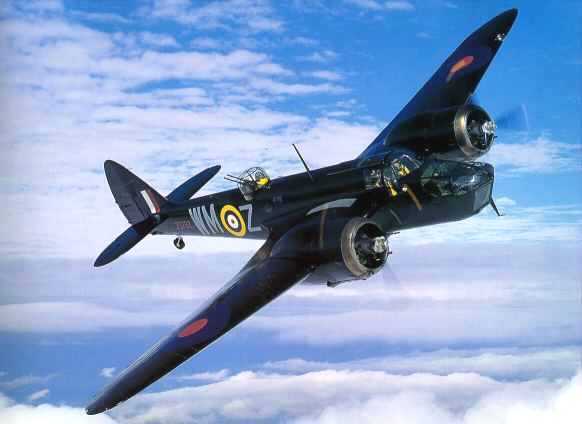 The aircraft was built as a Mk IVF and painted all black as night fighter Z5722 WM-Z, the personal aircraft of the CO of 68 Squadron, Wing Commander the Hon Max Aitken DSO, DFC CzMC. His widow Lady Aitken gave her blessing to use these markings. The aircraft was also given the name ‘Spirit of Britain First’ after the first Blenheim. The aircraft was then painted in the markings of a Coastal Command Mk IVF L8841 QY-C, of 254 Squadron. R3821 UX-N, of 82 Squadron. In 2003 this aircraft had a landing accident, once again due to no mechanical failure of the aircraft. Blenheim Duxford Ltd., was formed and took over the responsibility for the aircraft, and it was decided to repair the aircraft representing a Mk IF, L6739 YP-Q, of 23 Squadron, using the nose rescued by Ralph Nelson. 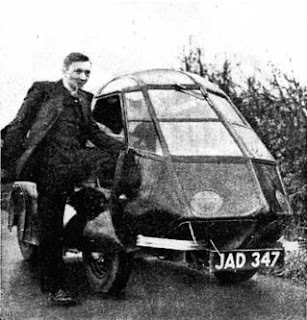 Ralph Nelson (a Bristol employee) and the Blenheim Mk I nose which he converted into an electric car.